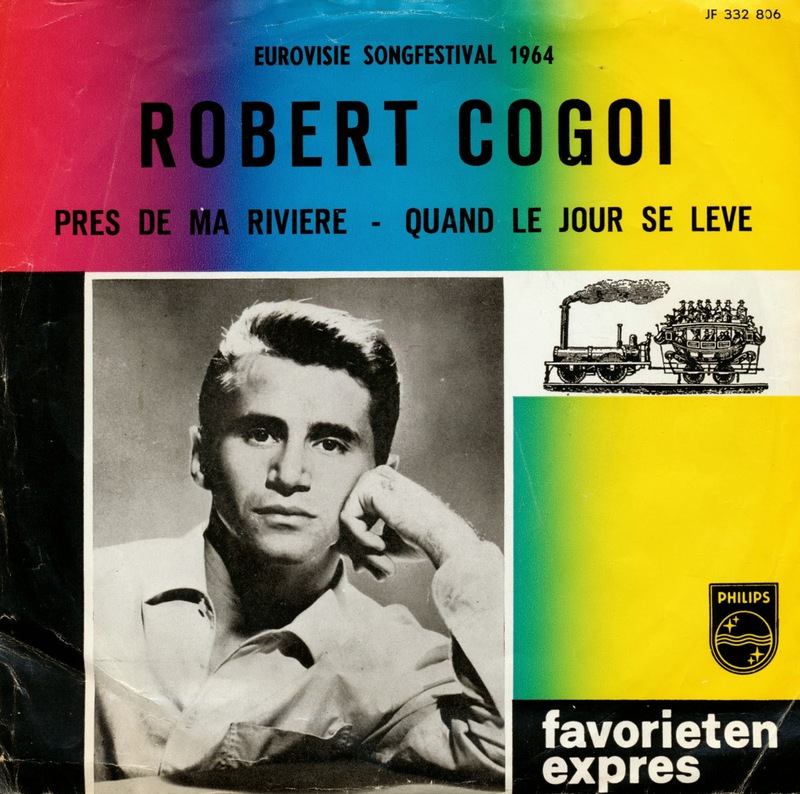 Robert Cogoi was born as Mirko Kogoj on October 25, 1939 in Châtelet to Yugoslav parents. In 1961 he picked up a contract with Philips Records, and the following year, won first prize at the Grand Prix International des Variétés at the Casino in Ostend with the song 'Si un jour', which went on to sell 100,000 copies in France, earning Cogoi a gold disc. In 1964, he represented belgium with 'Près de ma rivière' ('Near my river'). At the close of voting, it had received 2 points, placing 10th in a field of 16 competitors. Cogoi also recorded the song in English, German and Italian language versions, entitled, respectively, 'My River of Memories', 'Weit, da wo der Strom beginnt' and 'Sulla mia riviera'. The English version, however, was not released until nearly 30 years after the Contest. Cogoi continued releasing albums and singles, with modest success, until the late 1960s. In 1976 he appeared in the Belgian movie 'Les arpents dorés'. After many years out of the public eye, Cogoi made a guest appearance, along with several other former Eurovision participants, at the Belgian Eurovision national final in 2005. 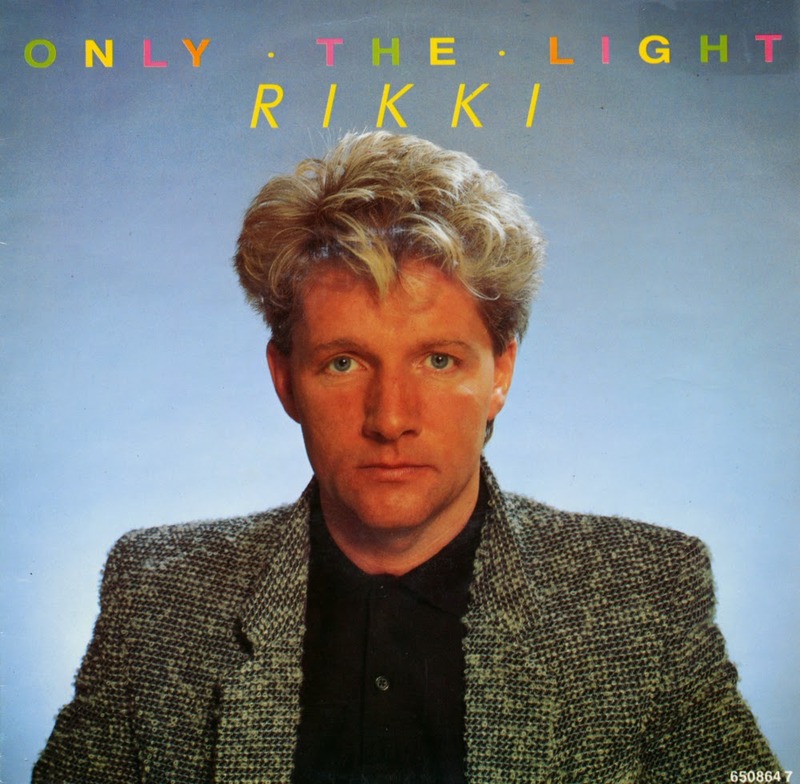 'Only the light', written and composed by Richard Peebles, was the United Kingdom's entry at the 1987 Eurovision Song Contest, performed by Peebles himself, who was credited as Rikki. Rikki won the right to perform at Brussels by winning the UK national final, A Song for Europe, where he was the first singer to perform. At the end of judging that evening, 'Only the light' finished on 13th place. It was a huge disappointment to the United Kingdom as it was the lowest placement any of the country's entries had received up to that time. Like the previous year, a rock song was in the offering, with an unclear theme (it is never explained what "the light" is, what kind of metaphor it is, why "the light" is after him or why he is avoiding it). In the UK singles chart, the single rose no further than to number 96. The band Profil was put together especially for the 1980 Eurovision Song Contest to represent France with the song 'Hé Hé M'sieurs dames' ('Hey hey, Ladies and Gentlemen'). The band members were: Martine Havet, Martine Bauer, Francis Rignault, Jean-Claude Corbel and Jean-Pierre Izbinski. Their song was performed sixteenth on the night. At the close of voting, it had received 45 points, placing 11th in a field of 19 competitors. This single is one of only three I still needed to complete my collection of singles from the 1980 Eurovision Song Contest. It will be a real feast when I find the last one, 'Huilumies', the song that represented Finland. 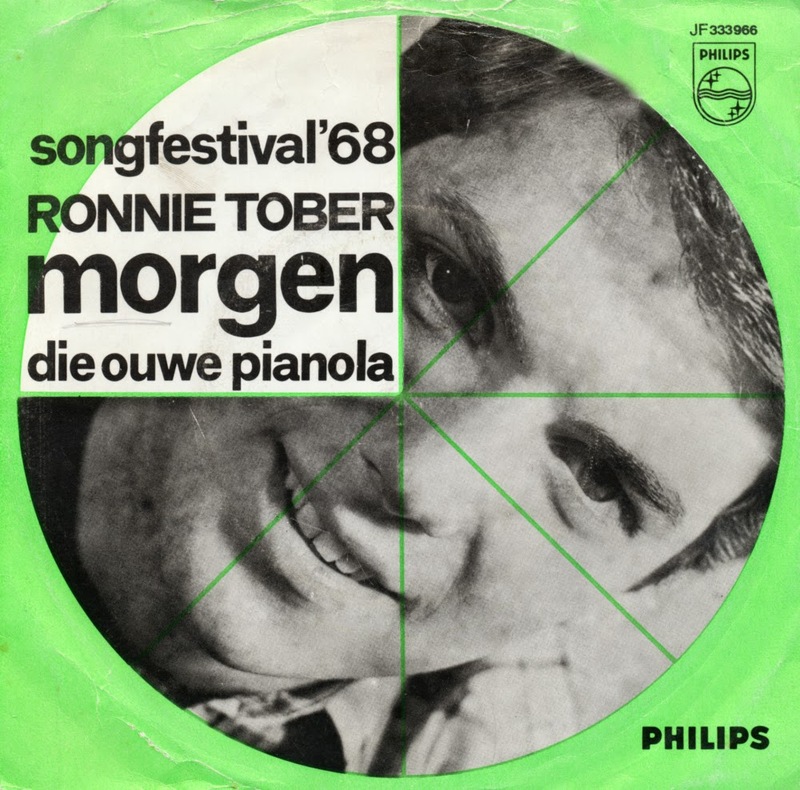 In 1968, the Netherlands were represented in the Eurovision Song Contest by Ronnie Tober. He sang the song 'Morgen', a ballad in which the singer expresses his desire for "tomorrow" to arrive as soon as possible, enabling him and his wife, who is far away, to be reunited. This is slightly ironic, since Ronnie Tober later turned out to be gayer than Christmas. The song was performed second on the night. At the close of voting, it had received 1 point, placing 16th (equal last) in a field of 17 competitors. Of course, the next year, the Netherlands would be one of four winners of the Contest, when it was organised in Spain. Dario Campeotto was born on February 1, 1939 in Frederiksberg, Copenhagen to Italian parents, Emma and Ernesto Campeotto. He started performing at the age of ten, but his breakthrough was a victory in the Dansk Melodi Grand Prix in 1961 with the song 'Angelique', which went on to finish fifth in the Eurovision Song Contest. The song is a love ballad directed towards one Angelique, with Campeotto singing about the various things he would do for her if he had the skill - such as writing poetry if he were William Shakespeare or playing the violin if he were Yehudi Menuhin. 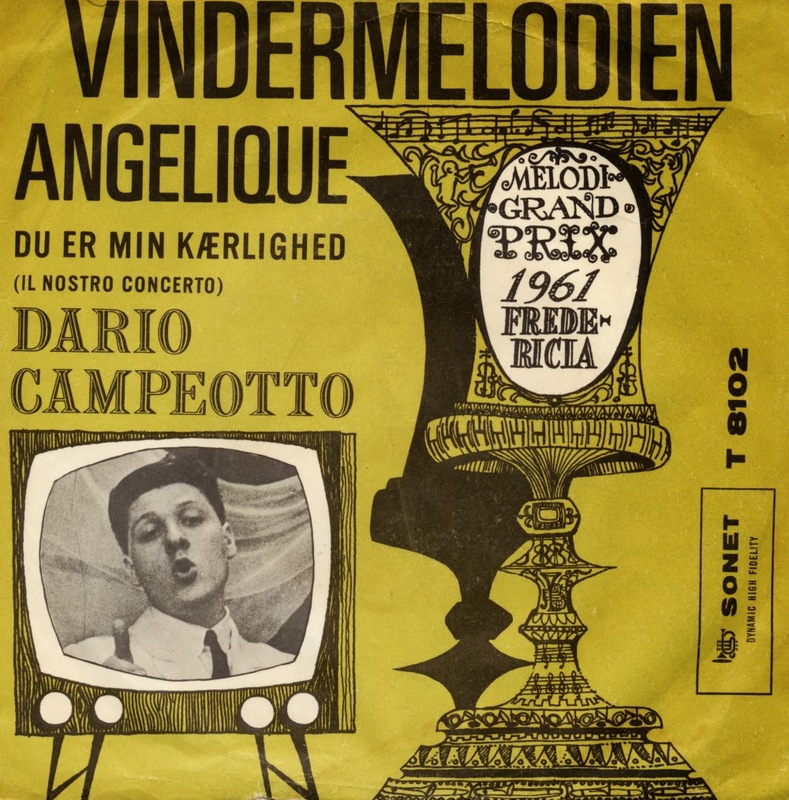 Following Angelique, Dario Campeotto released a number of records, starred in theatrical play, operettes, revues, and movies. He has been married twice and once lived in Italy with his former wife, actress Ghita Nørby, but returned to Denmark where he is currently continuing his career. 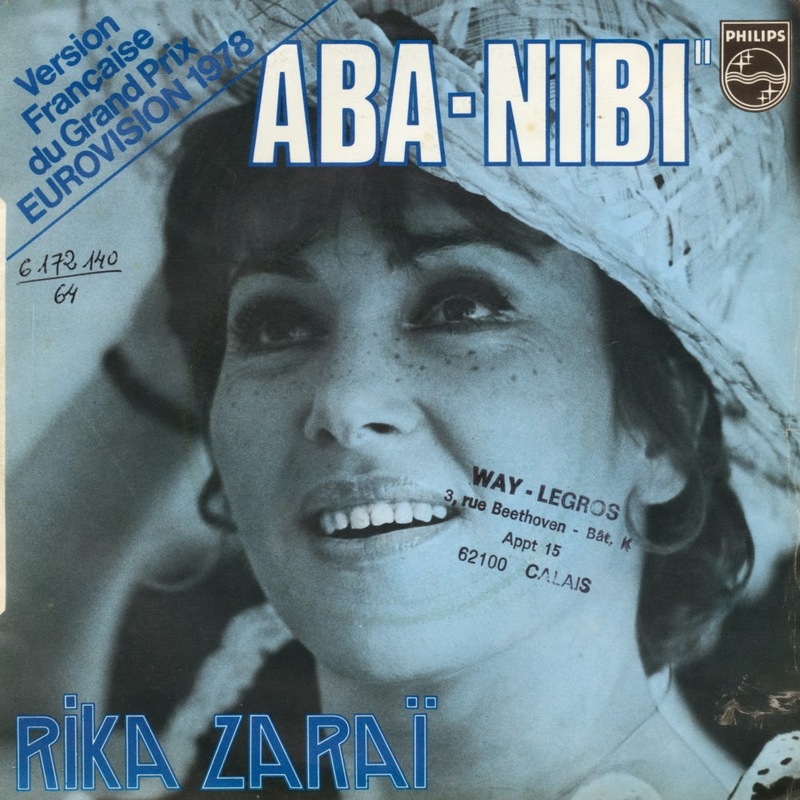 Throughout her career, Rika Zarai has recorded Eurovision covers, starting with Alors je chante in 1969 - a single I bought five years ago. In 1978, she recorded a cover version of Israel's winning Eurovision song A-ba-ni-bi, originally performed by Izhar Cohen and the Alpha-Beta. There is a big difference between the original version and this one: Rika performs the song with French lyrics, written by Pierre Delanoë. Bryan Johnson was born on July 18, 1926. He became a regular appearance on 'A Song For Europe', the UK national finals for the Eurovision Song Contest. He competed in 1957, 1960 and 1961, but only qualified for the 1960 edition with 'Looking high, high, high', a song written by John Watson. He ended up in second place on the Contest, behind 'Tom Pillibi' by Jacqueline Boyer. The single reached number 20 in the UK singles chart. Johnson was also an actor who, in Donald Wolfit's company, played such roles as Feste in Twelfth Night and the Fool in King Lear. In Ronald Harwood's biography of Wolfit, the actor is quoted as saying that he was "the best Fool I ever had". Later he played roles in musicals such as 'Lock Up Your Daughters' and enjoyed a late success as Scrooge in a touring production of 'A Christmas Carol'. He died on October 18, 1995. 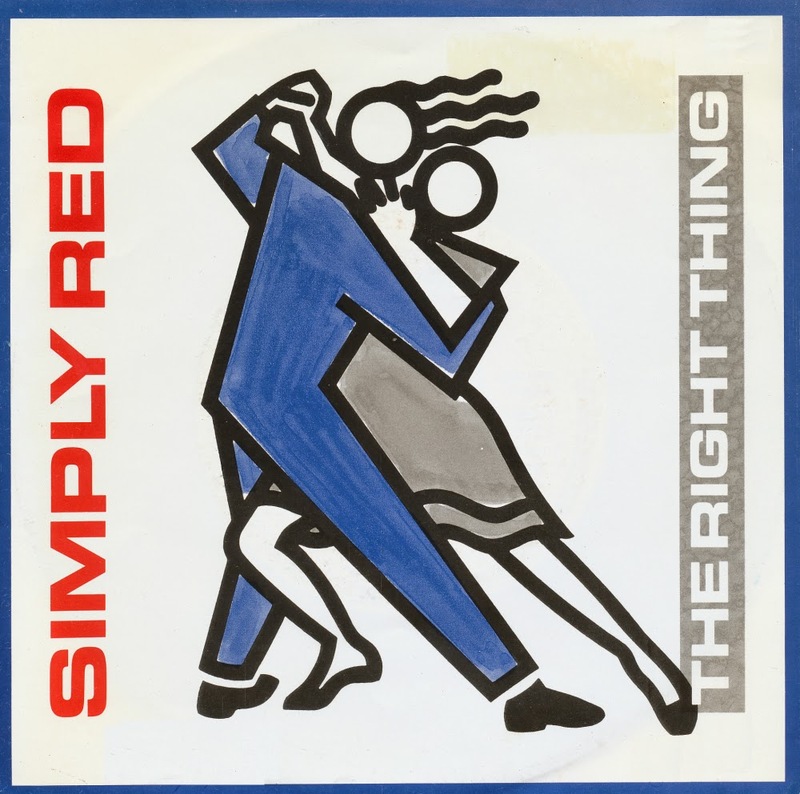 'The Right Thing' was released by Simply Red in 1987. It was taken from their second album 'Men and Women'. 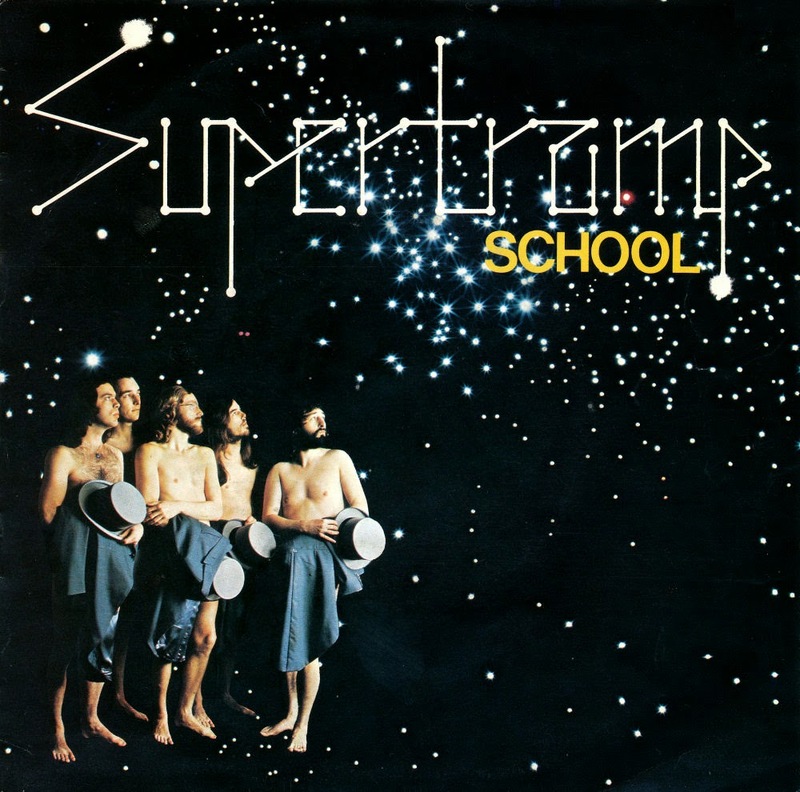 It displays more of a funk influence than the group's previous hits, but also retains the soul sound that became their trademark during the '80s. According to some sources, the racy sexually implicit nature of the song caused the album to be banned in Singapore. 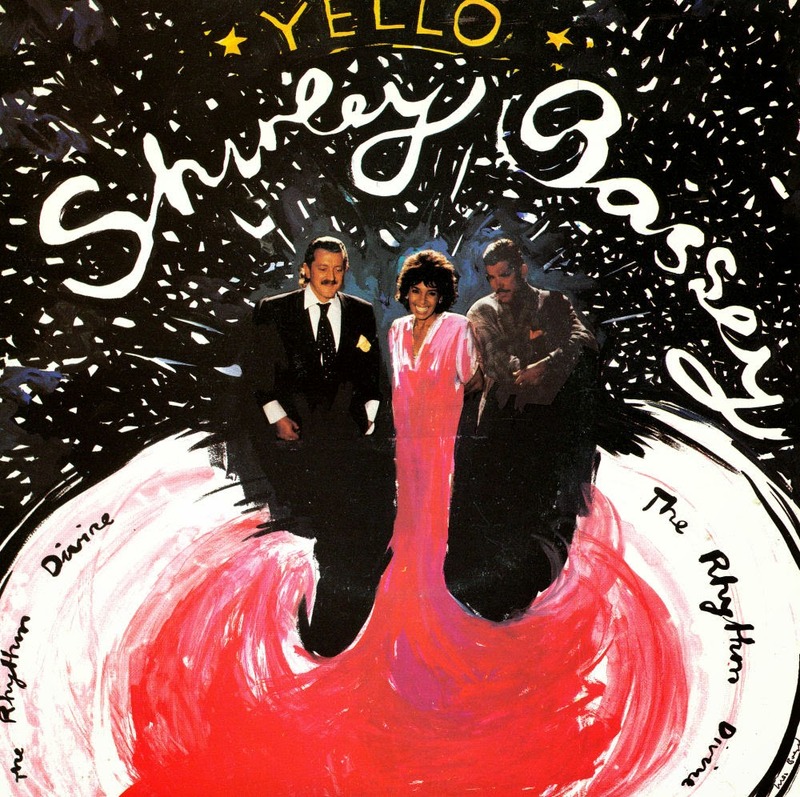 The single reached number 11 in the UK singles chart in early 1987, but did not find significant success in the United States, only reaching number 29 on the Billboard Hot 100 at a time where the group were at their peak amount of success in the States. 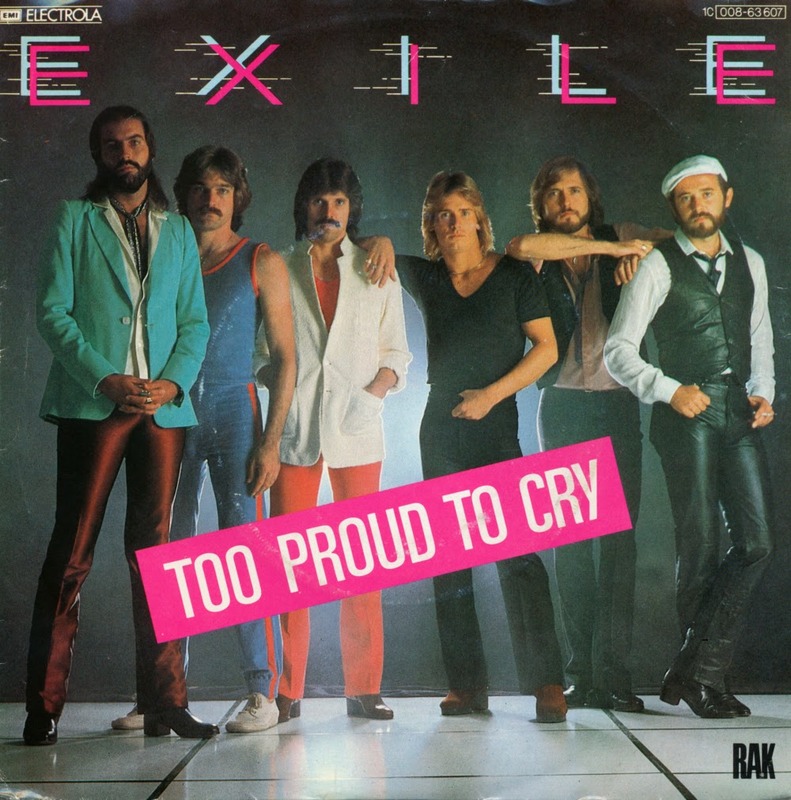 Exile had a big hit in 1978 with Kiss you all over, and for most people, that's where their story ended. That single came from the album 'Mixed emotions'. A year later, they released 'All there is', the album featuring How could this go wrong and this single, 'Too proud to cry'. Listening to these two singles, it would seem that the band tried a rougher and tougher approach. The album did well in Europe but also signalled less popularity in the USA. Oddly, in 1983, the band re-established themselves as a country music group. 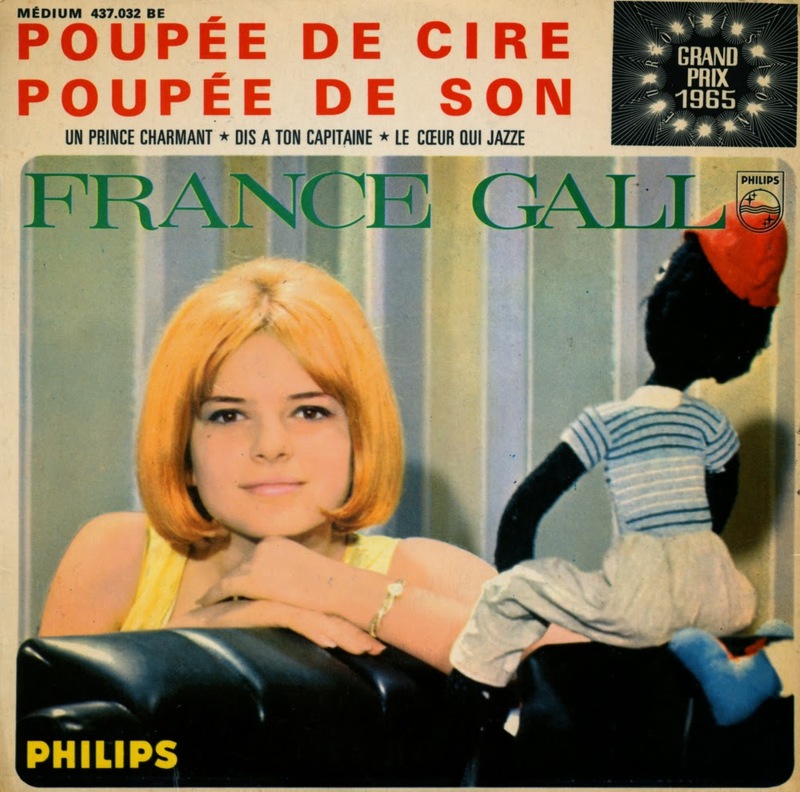 In 1965, French singer France Gall represented Luxembourg with the song 'Poupée de cire poupée de son'. It was composed by Serge Gainsbourg, also from France, and inspired by the Piano Sonata No. 1 by Beethoven. As is common with Gainsbourg's lyrics, the words are filled with double meanings, wordplay, and puns. The title can be translated as "wax doll, rag doll" (a floppy doll stuffed with bran or chaff) or as "wax doll, sound doll" (with implications that Gall is a "singing doll" controlled by Gainsbourg). At the time of her performance, France Gall was too young to understand all these double meanings. In later years, she disassociated herself with the Eurovision Song Contest, and refuses to discuss it in public or perform her winning song. Finding this single was a feat in itself. This original French pressing has become very rare and it's hard to track down such a good copy. I'm happy that I finally managed to get this one, in what I would call mint condition. 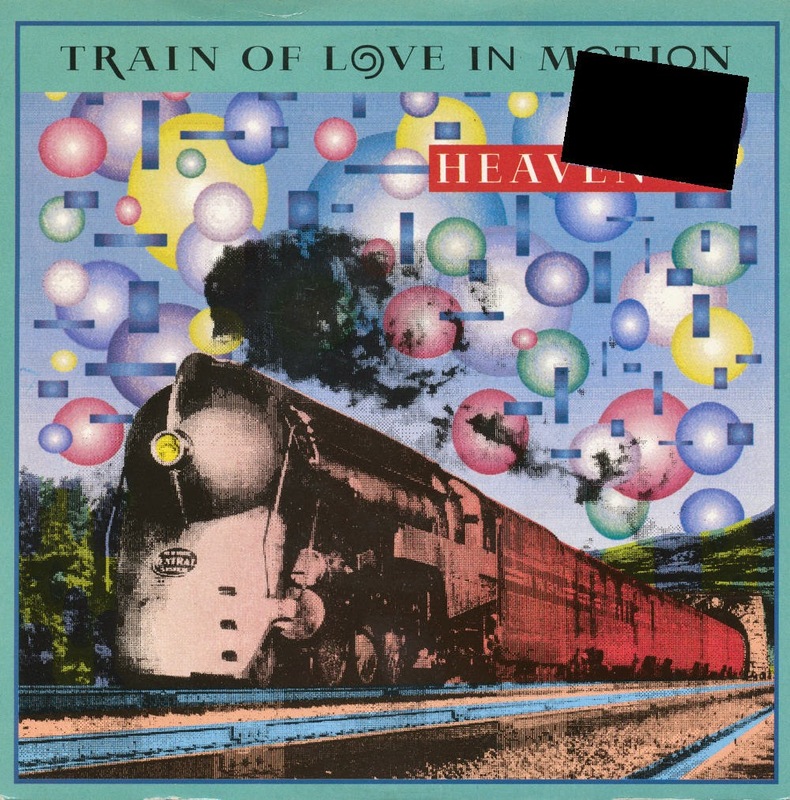 'Train of love in motion' was released as the second single off Heaven 17's 1988 album 'Teddy Bear, Duke & Psycho'. It wasn't the band's most successful album, causing them to fall silent for many years. This single fared even worse than its predecessor The Ballad of Go Go Brown, because it failed to chart at all. When Heaven 17 returned, it was 1996. They released 'Bigger than America', another album that failed to chart. You'd think they'd gone for good, but fortunately Heaven 17 found a second lease of life in this century, releasing new albums (a new one is planned for 2015) and even performing live - something they never did in the Eighties. After releasing a version of the 1985 Eurovision winner as Lot ons swingen, Belgian band De Strangers decided to make an annual event of it. Their 1986 cover version was derived from Sandra Kim's J'aime la vie. Sandra represeted Belgium, and it was the first time that Belgium won the Contest. In their undecipherable Antwerp dialect, the Strangers sing that they would like to be a policeman. Not exactly sure, because I can't really understand what they are singing at all. Evidently, most Belgians could, as this single actually gave them a hit: ''k Zen zo gere Polies' peaked at number 23 in the Belgian chart. One of the biggest news stories in the Netherlands today was the fact that 'Bohemian Rhapsody' by Queen didn't make number 1 in the annual Top 2000, the chart that is compiled by Radio 2 listeners who vote on a website during a couple of weeks near the end of the year. The chart is broadcast every year in the last week, the period between Christmas and New Year's Eve. This year, The Eagles' 'Hotel California' surpassed the classic Queen song for the first time in many years.Well, at least the Rhapsody is still number 2. 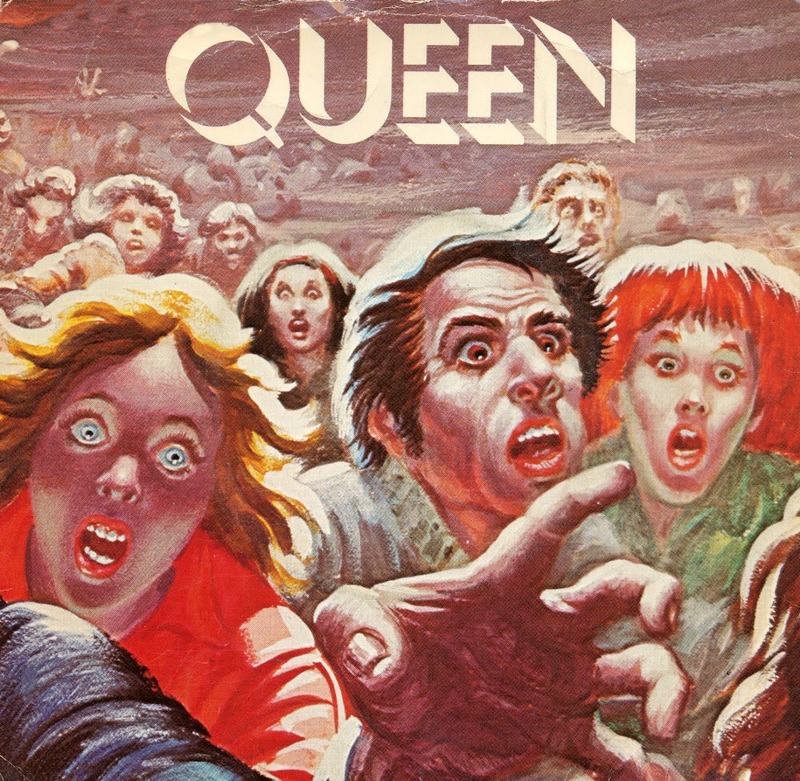 By contrast, many Queen singles have been long forgotten. Who remembers, for instance, 'Spread your wings'? This single was released in February 1978 and only managed to reach number 34 in the UK singles chart and number 20 in the Dutch Top 40. 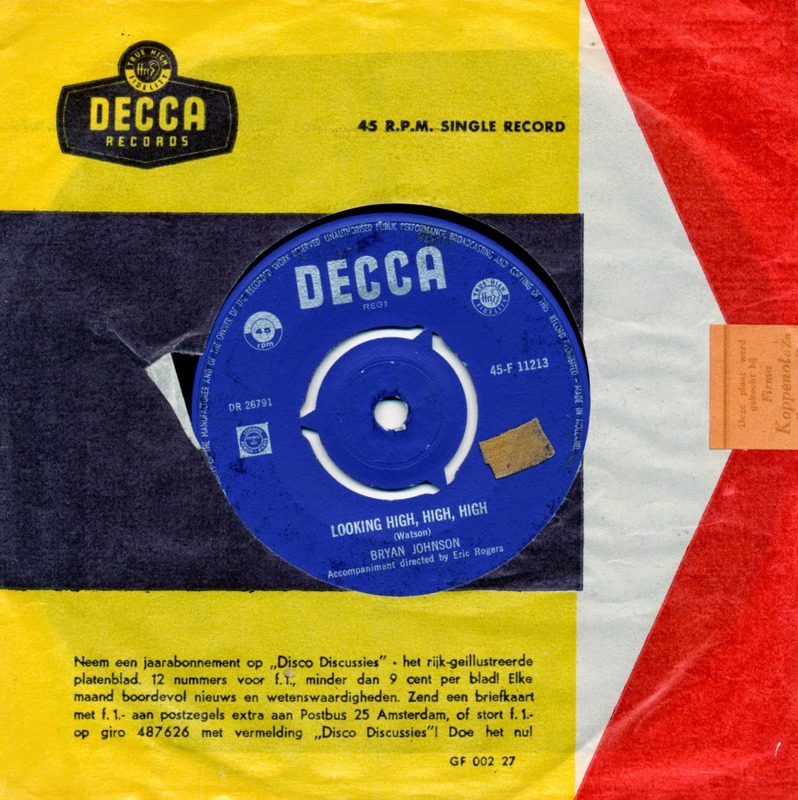 The previous single from the album 'News of the World', 'We are the champions' is remembered by many more people - despite the fact that this single is far more interesting. 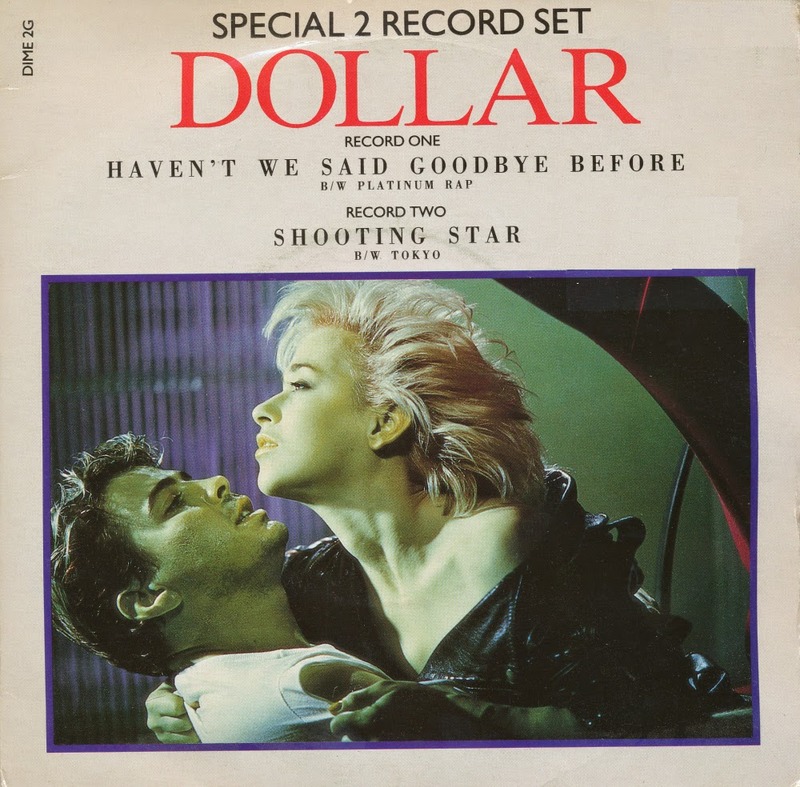 This limited edition 'special 2 record set' brings together two of Dollar's singles, the 1986 single 'Haven't we said goodbye before' and their debut single from 1978 'Shooting star'. It is an odd pairing, probably made because the record company thought there would be some interest in a re-release of the duo's debut, which peaked at number 14 when it was originally released. The plan didn't work: 'Haven't we said goodbye' did not chart in any territory. It would take an Erasure cover to resurrent their career, albeit briefly. 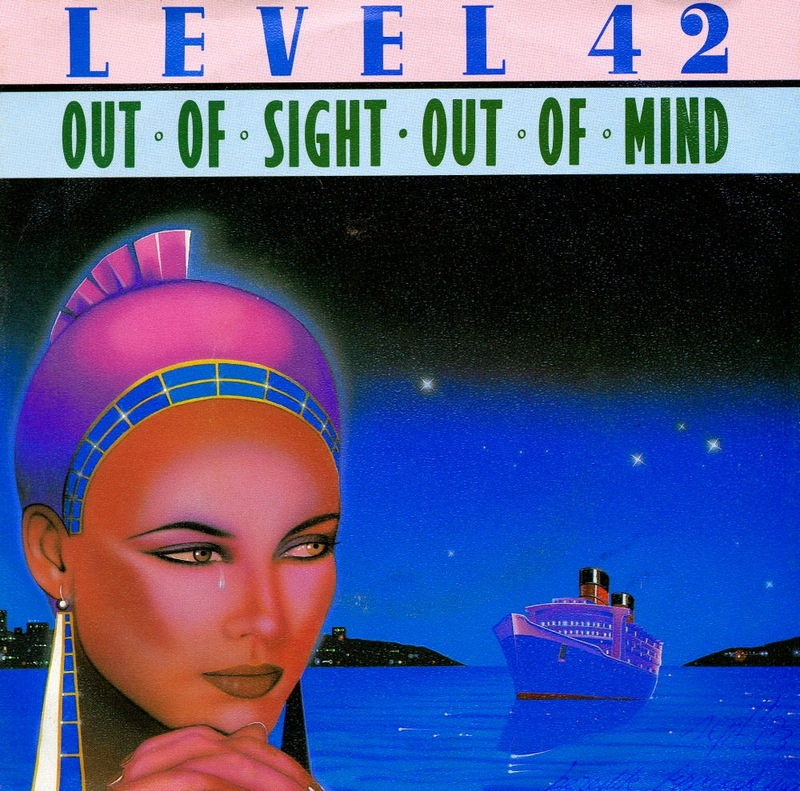 Despite this song's irresistible hook, Level 42's 'Out of sight, out of mind' only managed to get to number 41 in the UK singles chart, just missing the top 40. The song was released as the first single from their 1983 album 'Standing in the light', the album that gave them their first top 10 hit in the shape of 'The Sun Goes Down (Living It Up)'. It would take the band two more years to become world famous with the album 'Running in the family'. Compared to some of their later singles, this one sounds fresher and more innovative... but that's just my opinion. 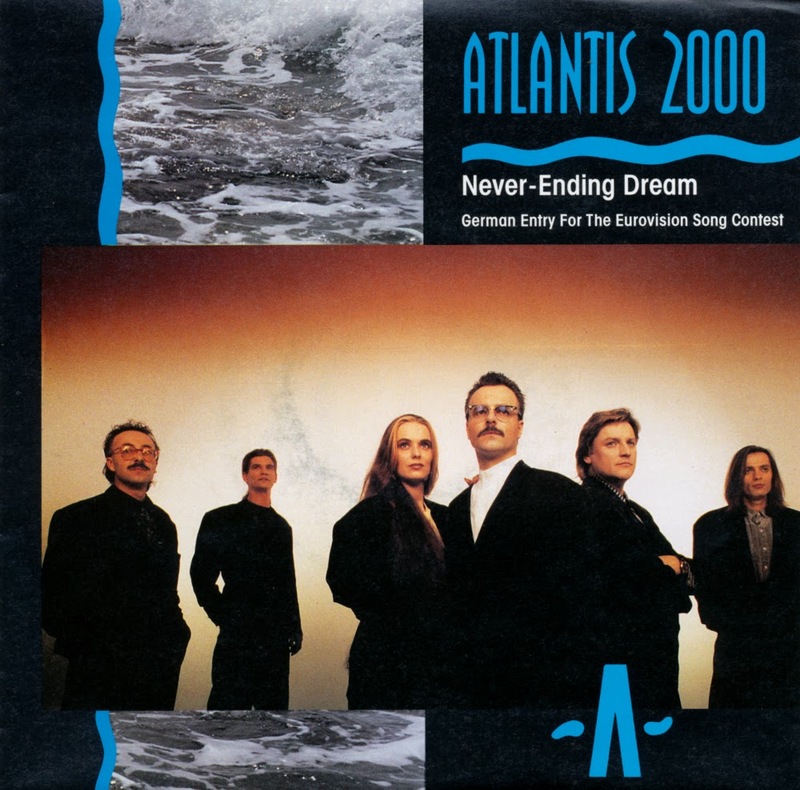 Atlantis 2000 competed in the 1991 Eurovision Song Contest with Dieser Traum darf niemals sterben. I bought the single of that song five years ago, as you can see here. I didn't know, however, that an English version was also released. That version appears here, on a single which contains both the English and German version. The lyric of the English version was written by Richard Palmer-James. It was a nice try, but this single didn't chart in any territory. And so, the never-ending dream came to a premature end. 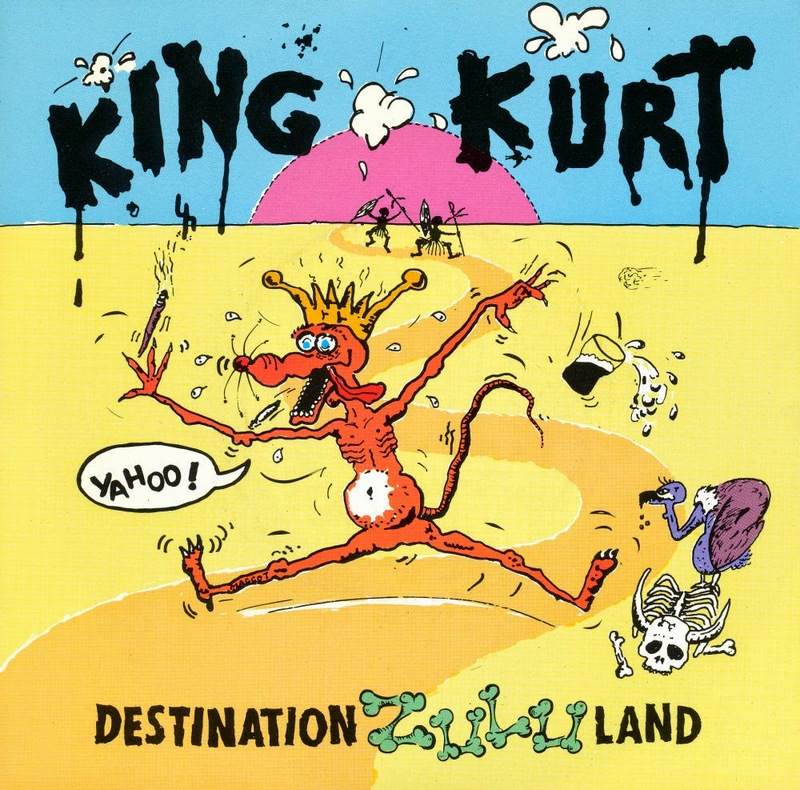 King Kurt are best known for this single, 'Destination Zululand', which was their biggest hit in the UK, peaking at number 36 in October 1983. The rockabilly band played rowdy gigs where nobody left the room unscathed. A good example of their live presence can be seen in this YouTube video of 'Destination Zululand'. Subtitled 'Humdiddledu mhoowahaya', this song was produced by Dave Edmunds. The double LP and double CD collection 'The best of the Doors', originally released in 1985, can still be seen as the ultimate introduction to the American band's output. The album was re-released in 1991 and promoted by this single, featuring an edit of 'Light my fire' and the classic 'People are strange'. 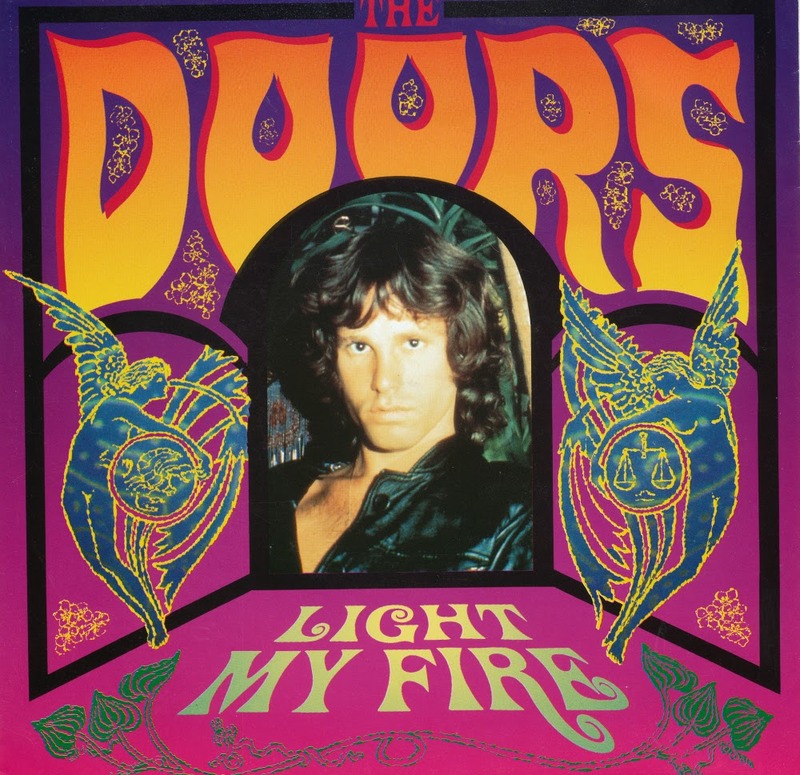 At the time of release, there was also a 12" single featuring the full length version of 'Light my fire' and the additional track 'Soul kitchen'. And, to top it all off, a CD-single featured all four tracks. Although it isn't particularly inspiring to hear both the edit and full length version of 'Light my fire' side by side, I'd have to say. 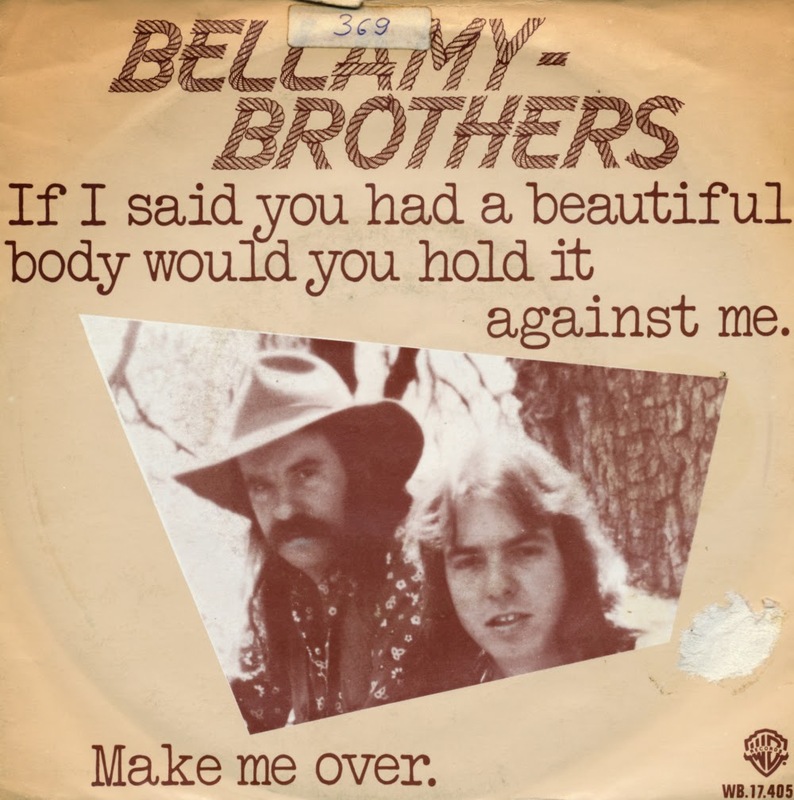 Easily one of the longest titles of a hit single ever, this song was written by David Bellamy and recorded by the Bellamy Brothers. It was released in March 1979 as the second single from their album 'The Two and Only'. 'If I said you had a beautiful body...' derived its double entendre title from a Groucho Marx line. Songwriter David Bellamy told country music journalist Tom Roland that he regularly watched Marx's program, You Bet Your Life, where Marx sometimes used the quote while interviewing an attractive female contestant, then shake his cigar and raise his eyebrows to elicit a reaction. The comment stuck in Bellamy's head as a possible hook line for a song. 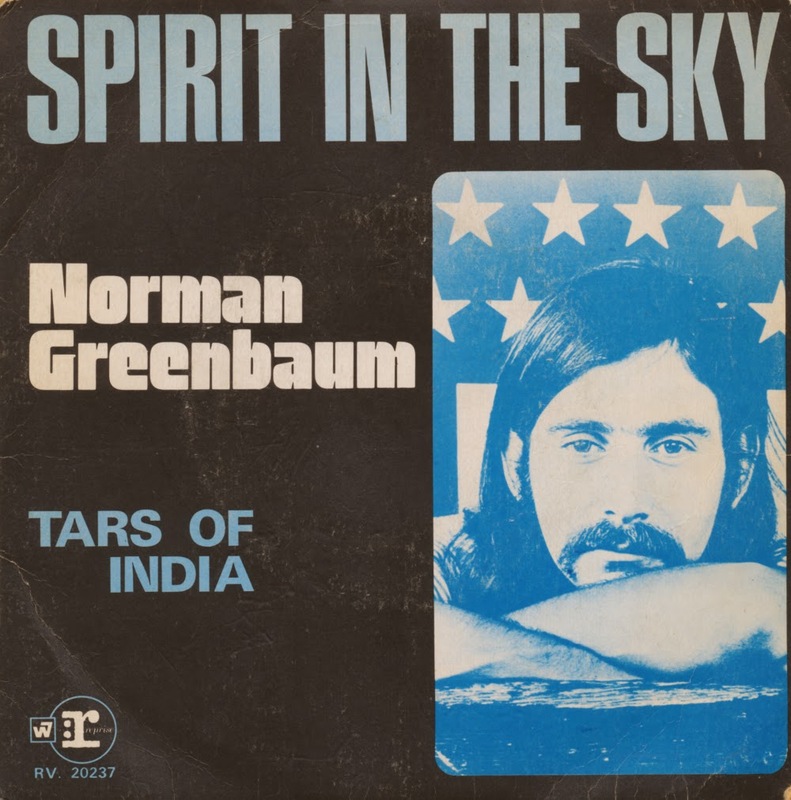 'Spirit in the sky' was originally written and recorded by Norman Greenbaum. 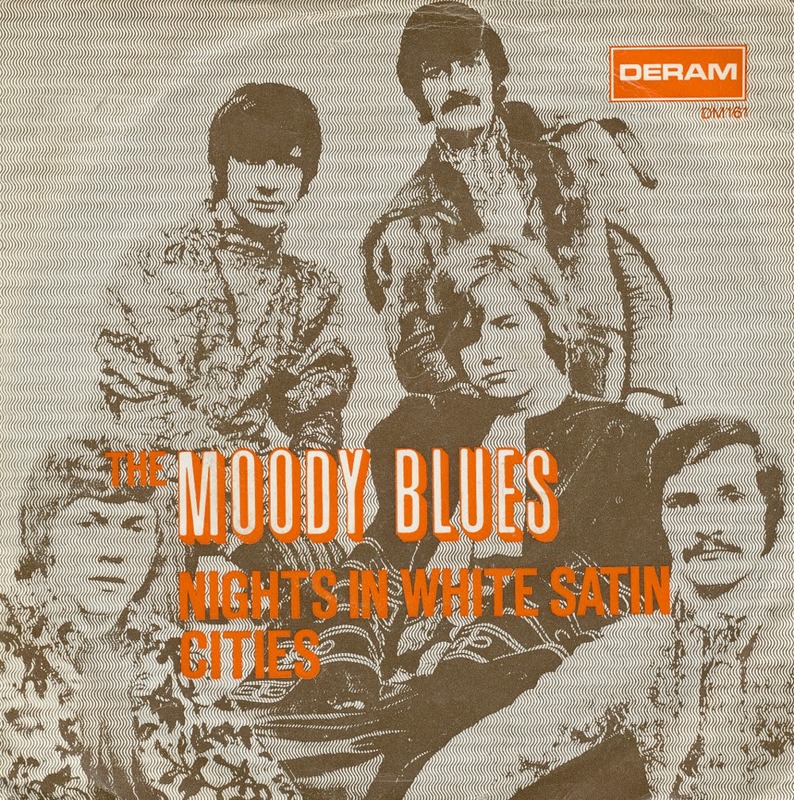 Released in 1969, the single sold over two million copies, reaching number 3 in the US Billboard Hot 100 singles chart, number 1 in the UK, Australia and Germany. According to Greenbaum, he was inspired to write the song after watching Porter Wagoner on TV singing a gospel song. Greenbaum later said: "I thought, 'Yeah, I could do that,' knowing nothing about gospel music, so I sat down and wrote my own gospel song. It came easy. I wrote the words in 15 minutes." The lyric makes several references to Jesus, despite the fact that Greenbaum is in fact Jewish. Several artists have covered 'Spirit in the sky', including Kim Wilde, who released her version of the song on a single, released on February 24, 2012 as a double A-side with a cover of the Buzzcocks' 'Ever fallen in love'. 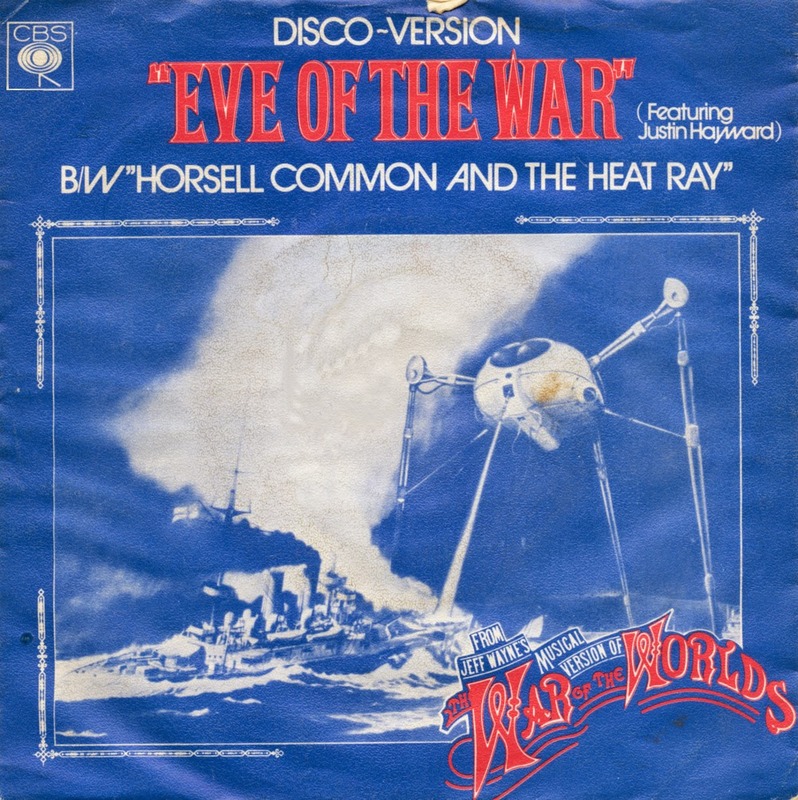 I really didn't expect to find yet another different version of Jeff Wayne's 'Eve of the war', having written about one so recently, but I did. I was very surprised to find this one, as the sleeve is so different from others and the disc actually contains a rather rare version too: it's an edit of a 'disco mix' that was created by Steve Thompson and Geoff Young in 1979. 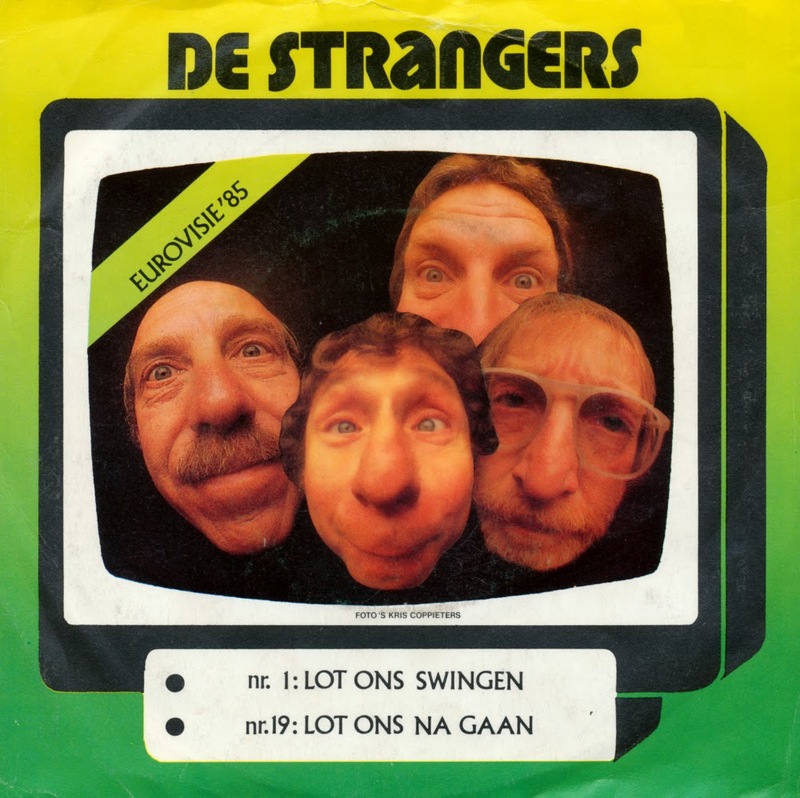 Another Eurovision cover by the Belgian band 'De Strangers', this time from 1985 winner 'La det swinge' by the Bobbysocks. Lyrically, the men from Antwerp stay pretty close to the subject of the original: rock and roll is much better than the modern 'dance' music. All this in true local dialect, of course. 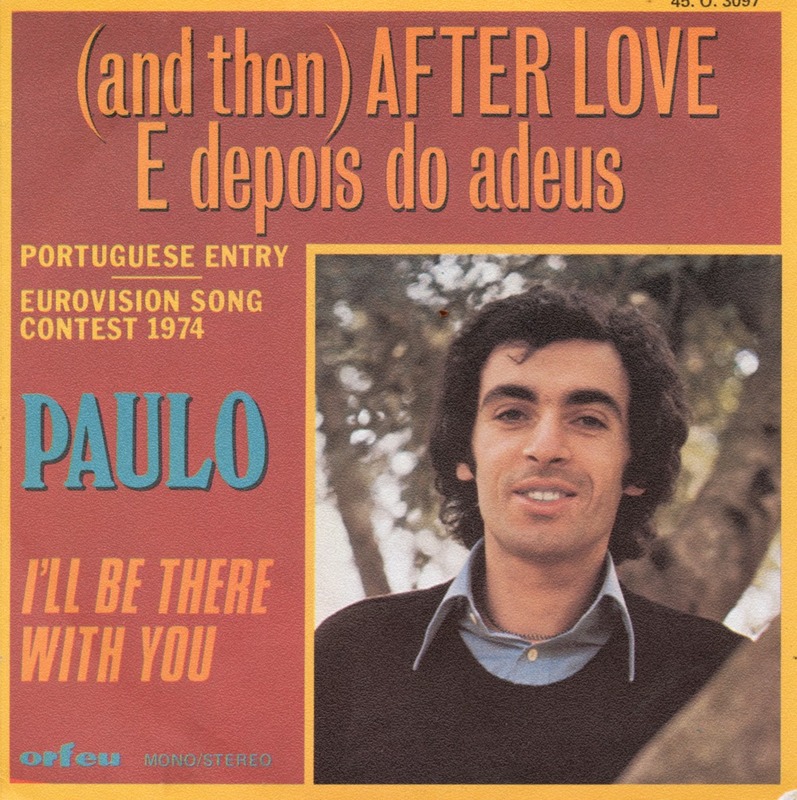 Paulo represented Portugal during the 1974 Eurovision Song Contest with the song 'E depois do adeus'. Despite the modest result at the Contest (it ended up in 14th place in a field of 17 competitors), the song achieved considerable fame as one of the two signals to launch the Carnation Revolution in Portugal against the Estado Novo regime of Marcelo Caetano - the other being the folk song 'Grândola Vila Morena' by Zeca Afonso, which was the signal for the coup leaders to announce that they had taken control of strategic parts of the country. It was broadcast at 22.55 on 24 April 1974 by 'Emissores Associados de Lisboa'. Perhaps this is part of the reason why Paulo also recorded his song in English. This single, '(And then) After love' presents the song, which sounds suspiciously like a mellow jazz standard. It turns up online as a rather expensive single, so I'm glad I found it where I did. 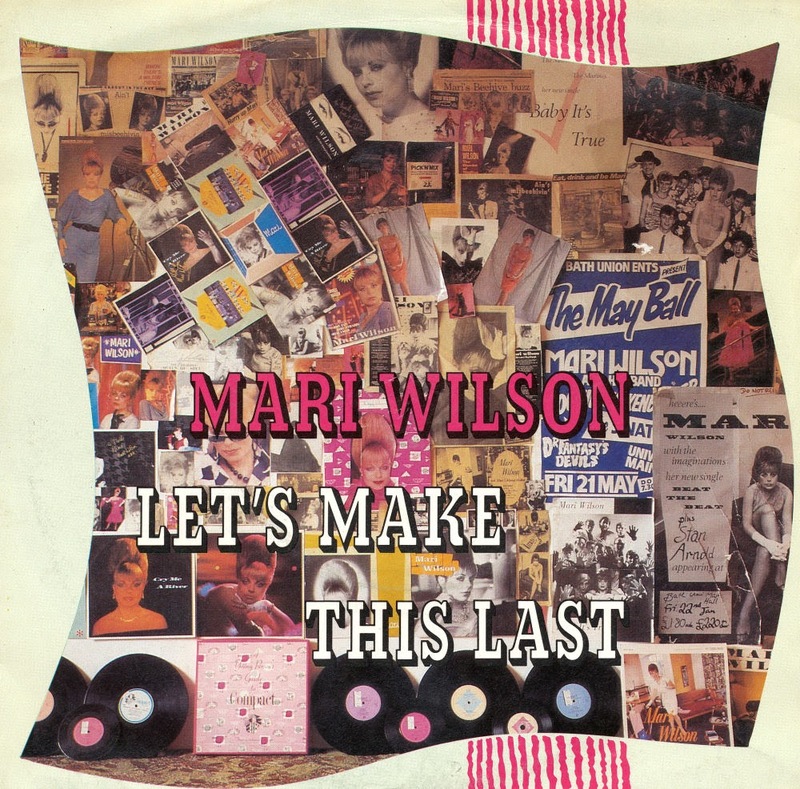 Released in 1984, 'Let's make this last' was the first of many Mari Wilson singles that failed to chart. Until then, most of her singles had charted in the UK - although many of them only made it to lower positions - but starting with this single, she never charted again. So what happened? It's not that this was a bad song. Tony Mansfield produced this single, and he had been responsible for many interesting sounds in the early Eighties, with a.o. New Musik and even the debut single by A-ha. 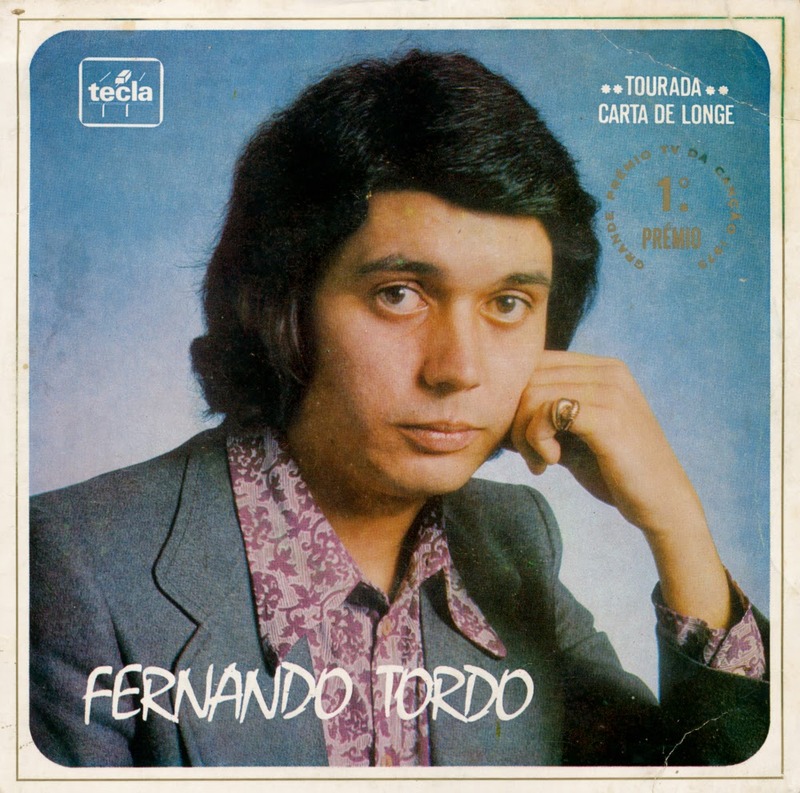 'Tourada' ('Bullfight') was the Portuguese entry in the Eurovision Song Contest 1973, performed by Fernando Tordo. Born on Marh 29, 1948, Tordo was a singer and composer who debuted in 1969, competing at the national final for Eurovision in Portugal. The song features the metaphor of a bullfight, comparing it either with the autocratic regime in Portugal at the time or with the culture of materialism. The song was performed third on the night. At the close of voting, it had received 80 points, placing 10th in a field of 17 contestants. Written by Eugene Record, 'Oh girl' was originally a hit for the Chi-Lites in 1972. 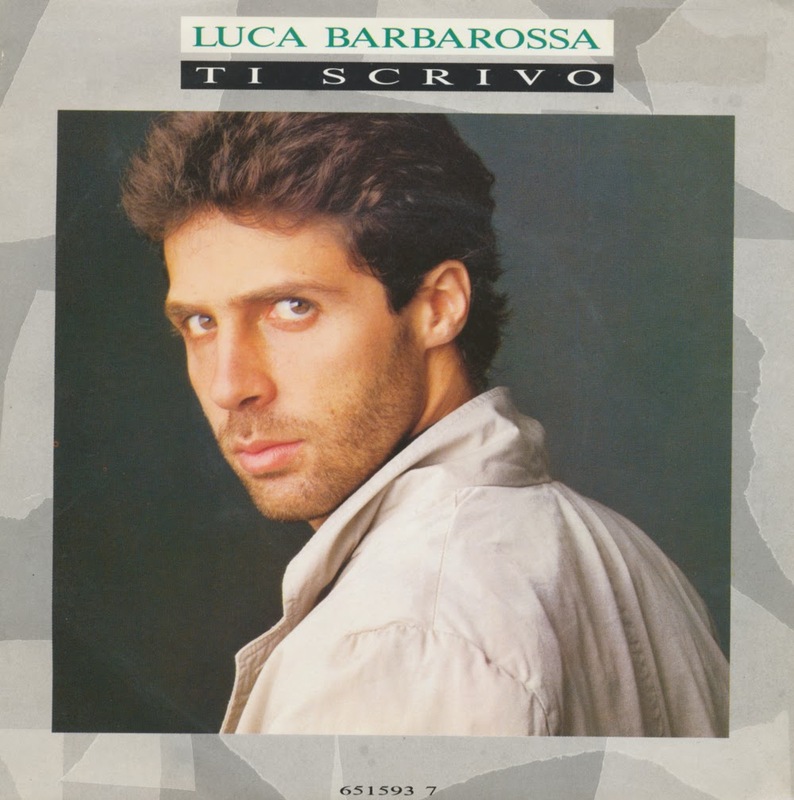 The song centers on a relationship on the verge of break-up. The narrator expresses concern that the break-up may prove unbearable for him, while knowing that staying will be no better. The song became their first and only number one hit in the USA. 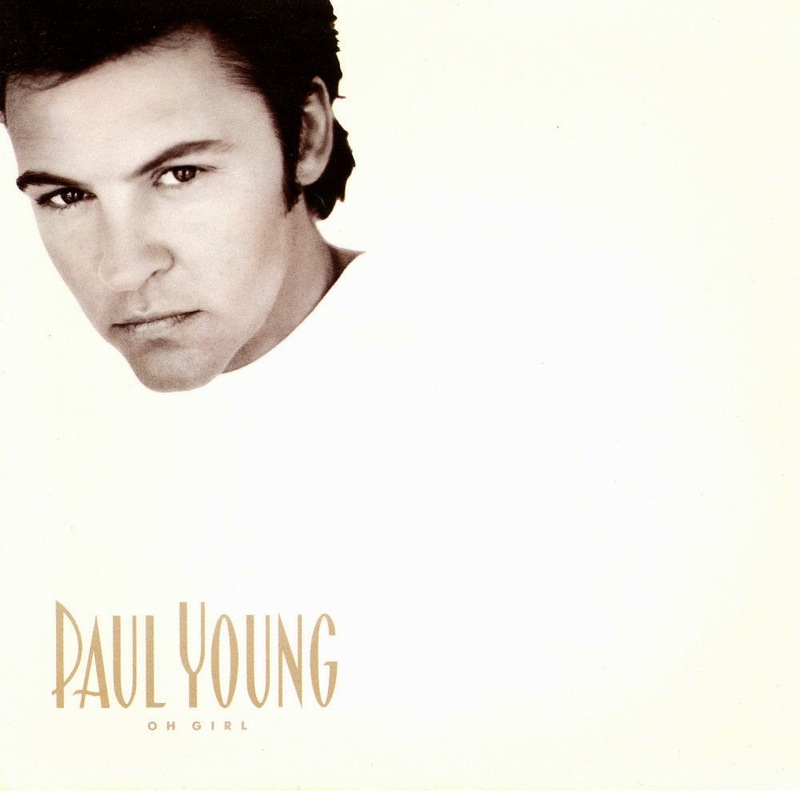 Paul Young recorded a cover of the song in 1990 on his album 'Other voices'. It was released as the second single from the album. It reached number 25 in the UK singles chart, while climbing to number 8 in the USA. 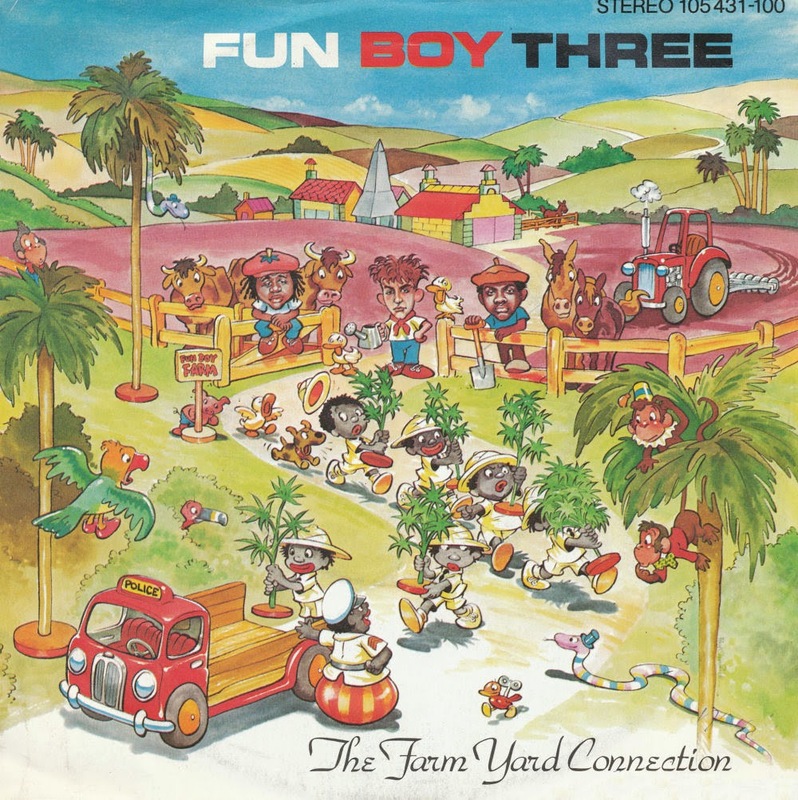 'The farm yard connection' is the last single by the Fun Boy Three, released in 1983. 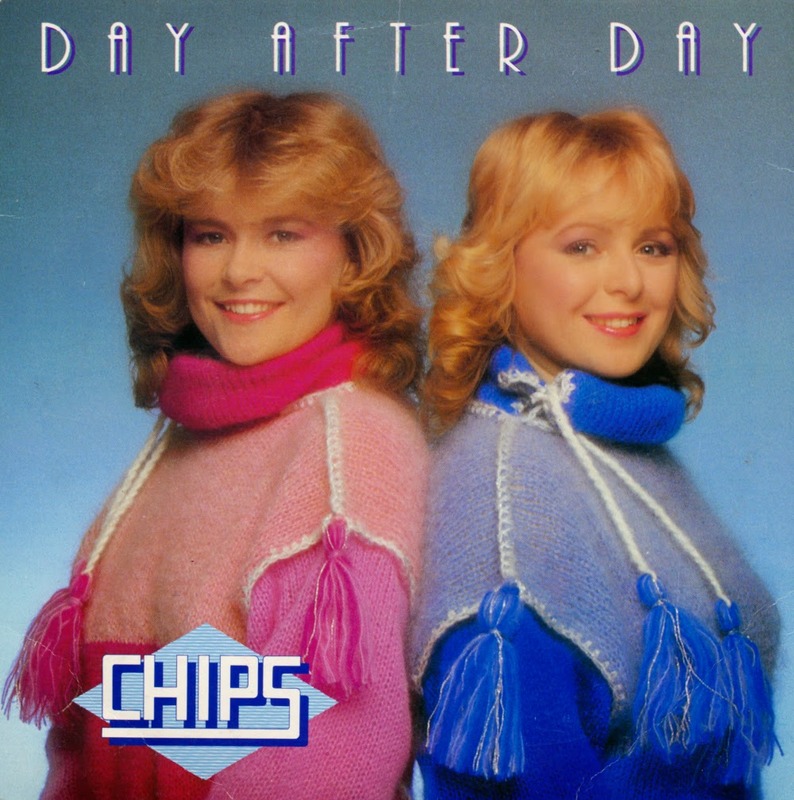 While all their previous singles ended up in the UK singles chart (and, bar one, all in the top 20), this single did not chart. The single was taken from the band's second album 'Waiting', which was produced by Jeremy Green and David Byrne. That album fared pretty well, peaking on number 14 in the UK albums chart and achieving the silver status. The band Prefab Sprout debuted in 1982 with their self-released single 'Lions in my own garden: exit someone'. 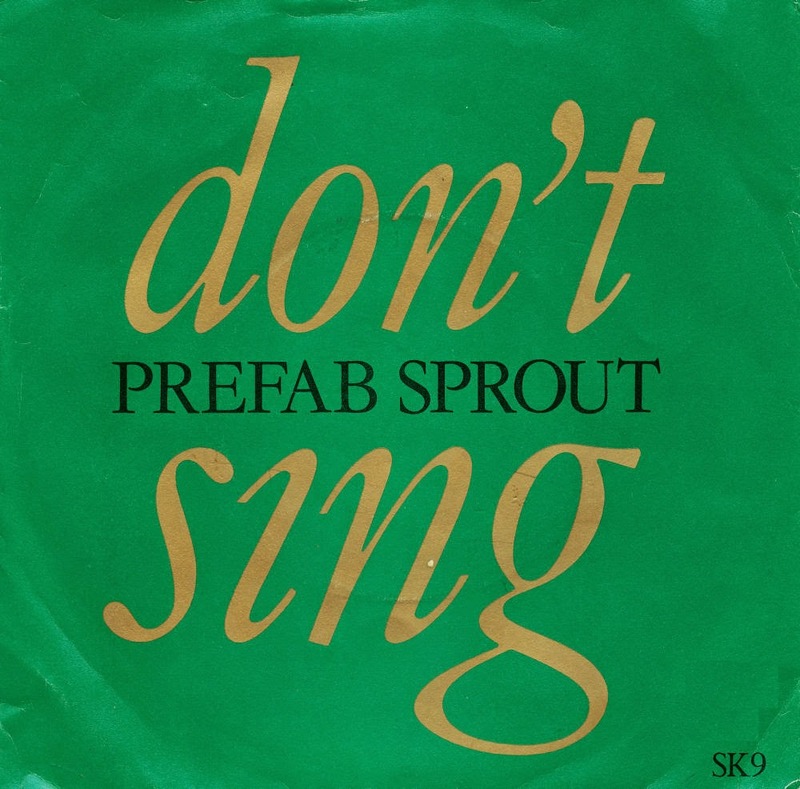 Two years later, they debuted on Kitchenware Records with this single, 'Don't sing'. Taken from their debut album 'Swoon', released in March 1984. This album has a markedly different, and less accessible, musical feel than their later works, featuring intricate guitar-based compositions that drew comparisons with Aztec Camera and Steely Dan. 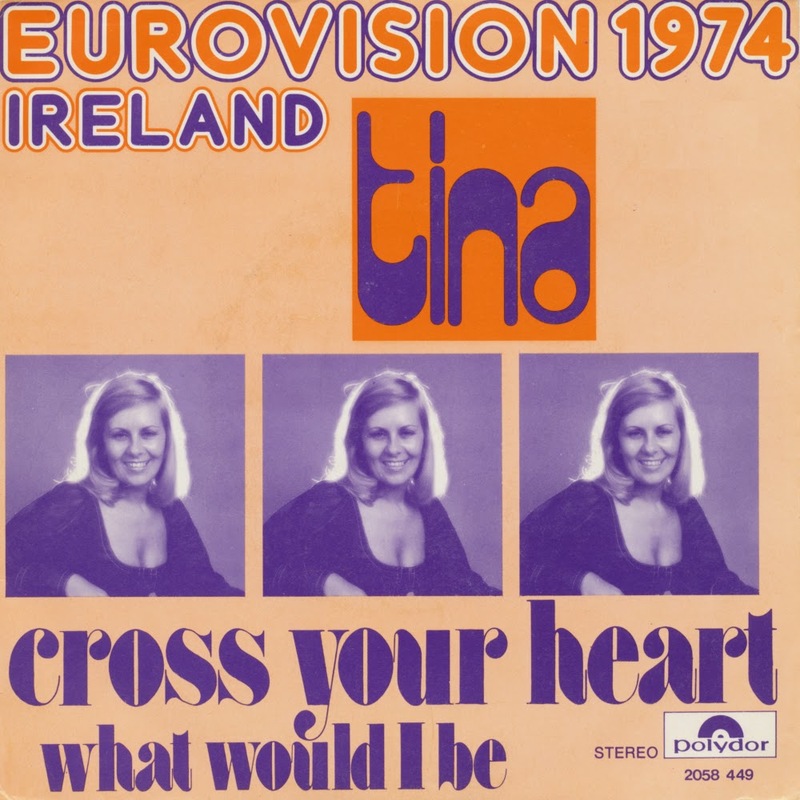 'Cross Your Heart' was the Irish entry in the Eurovision Song Contest 1974, performed by Tina Reynolds. The song is moderately up-tempo, with Reynolds using a number of childhood rhymes ("cross your heart and hope to die" and "sticks and stones wouldn't break my bones") to communicate to a would-be lover how serious she is about a potential relationship, with the contrast between the serious intention and the playful nature of the rhymes being drawn out throughout the lyrics. The song was performed thirteenth on the night. At the close of voting, it had received 11 points, placing 7th in a field of 17 competitors. 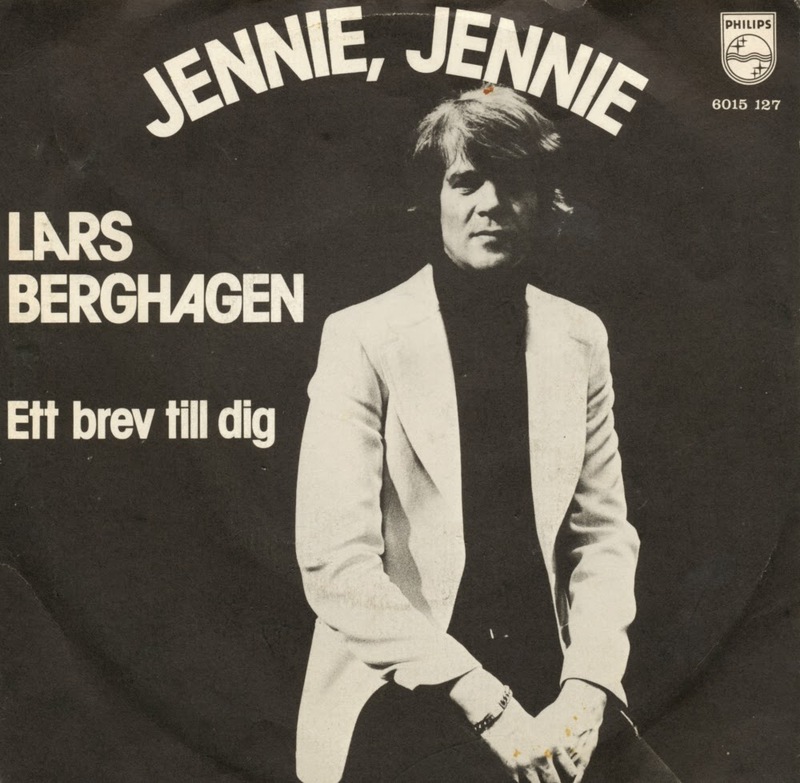 'Jennie, Jennie' was the Swedish entry in the 1975 Eurovision Song Contest, performed by Lasse Berghagen. The song was performed eighteenth on the night. At the close of voting, it had received 72 points, placing 8th in a field of 19 competitors. Berghagen has released this song also in his language native Swedish and in German, both with the same title "Jennie, Jennie". A year later, Sweden opted out of the contest. Broadcaster Sveriges Radio (SR) did not have enough money to host another contest if Sweden won again and in Sweden there were protests against the commercial character of Eurovision Song Contest. 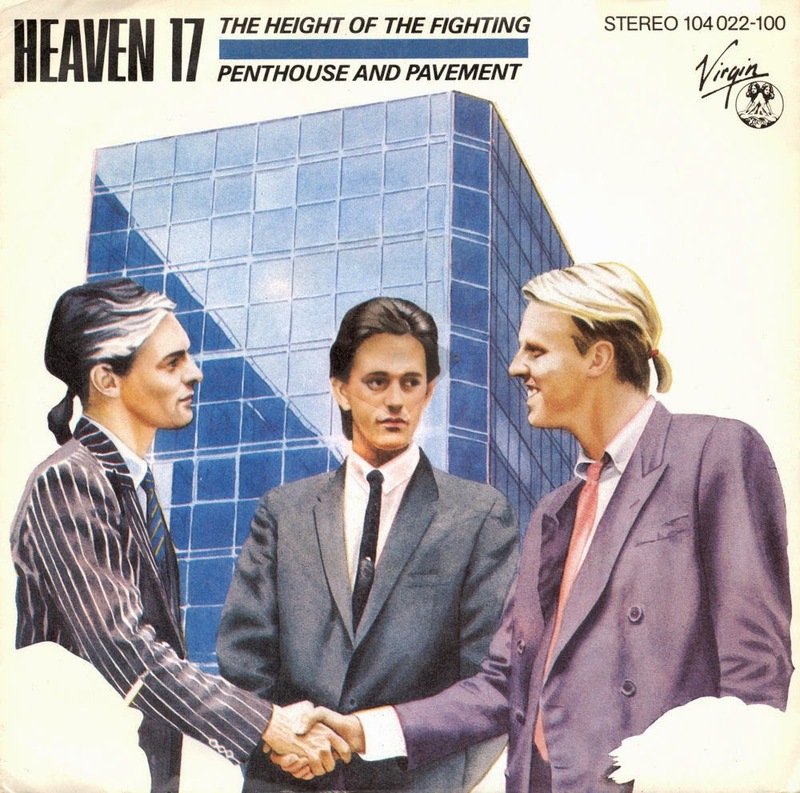 'The height of the fighting' was the fifth and last single taken from Heaven 17's debut album 'Penthouse and pavement'. Three out of the four previous singles had reached the lower regions of the UK singles chart, but this one, like their second single 'I'm your money', failed to chart. This single only managed to get to number 20 in... New Zealand. Glenn Gregory from the band said about this song and some others of their debut album: "Some things will always be relevant. We wrote about subjects that touched our lives and our souls, things that mattered not just to us as individuals but also to us as a part of a political or social system. We never preached and always (I hope) ranted with wit and humour. They were political times and the album reflected those times and I believe as you say, some of those songs are still very relevant today." Without a doubt, this 'Oldiethek' single is the 7" single with the longest playing time in my entire collection. The disc has to be played at 33rpm to accommodate the 11'35 minute epic 'The end' on side A and the slightly shorter, but still impressive 7'14 minute track 'Riders on the storm'. Released in 1988, this single was meant for all those who wanted to have a piece of classic Doors music on a little disc. 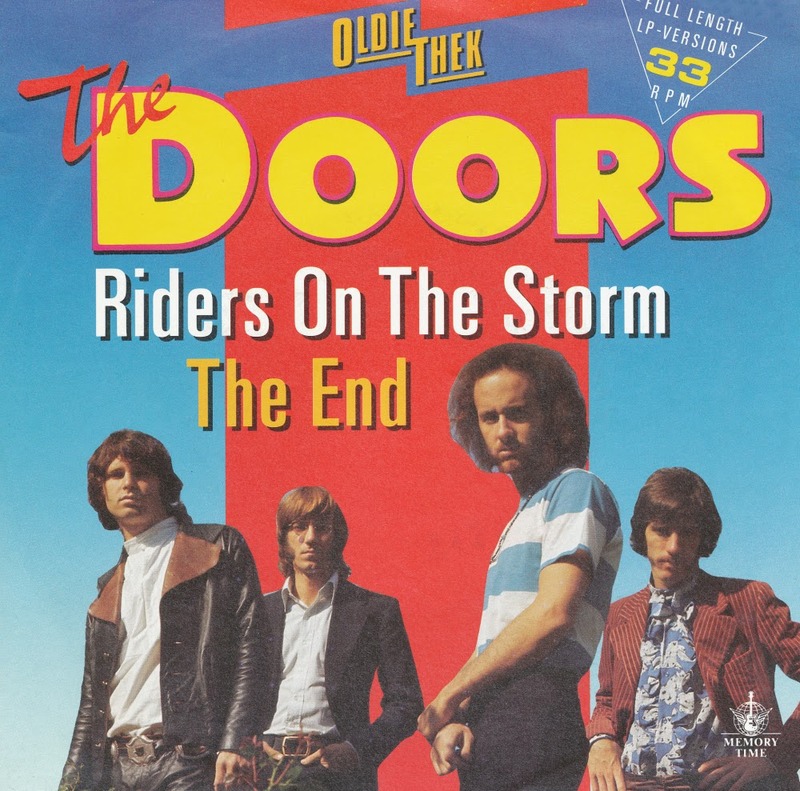 'Riders on the storm' was originally released in 1971 on the band's last album with Jim Morrison, 'L.A. Woman'. 'The End' was a track from their debut album, originally released in 1967. 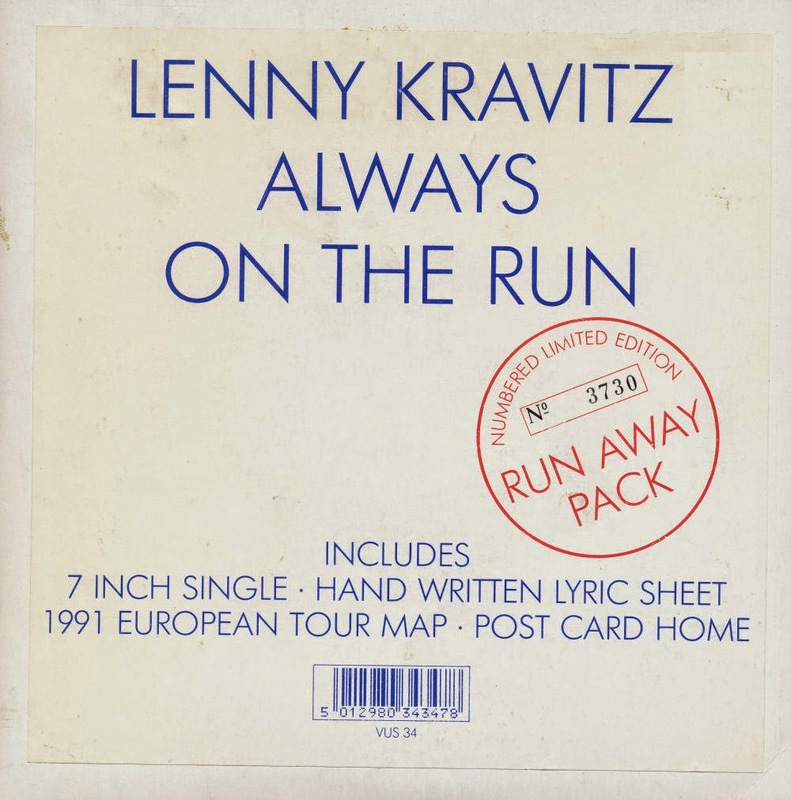 The song was recorded live in the studio without overdubbing. Two takes were done, the second take being the one that was used on the record. 'Who wants to live forever' was a track on Queen's 1986 album 'A kind of magic', and was written by guitarist Brian May for the soundtrack to the film Highlander. The song is used to frame the scenes in the film where Connor MacLeod must endure his beloved wife Heather MacLeod growing old and dying while he, as an Immortal, remains forever young. 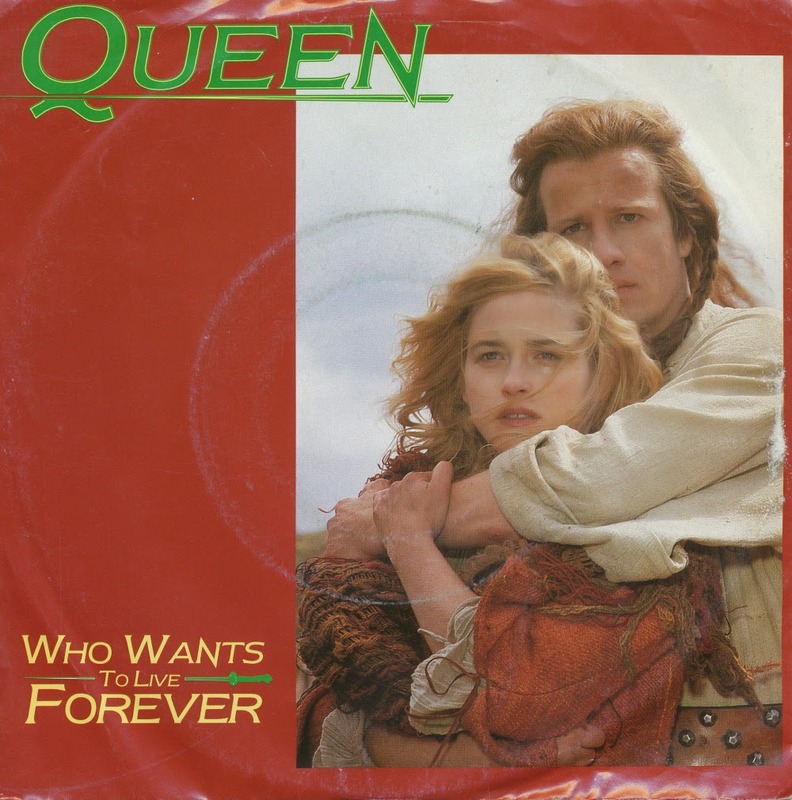 The song's title is taken from a line in another movie scored by Brian May and Queen, Flash Gordon (the line can be heard on "Battle Theme" from the Flash Gordon soundtrack album) and is based on May's personal troubles (the death of May's father and failing first marriage). Released as a single, the song peaked at number 24 in the UK singles chart. It did better in France and the Netherlands, peaking at number 5 and 6 respectively. 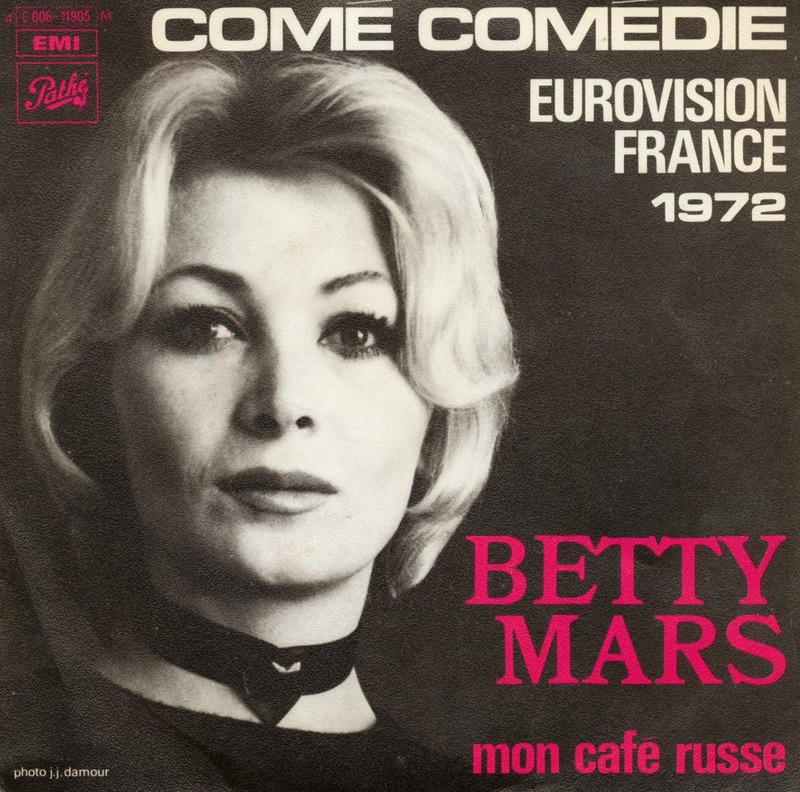 'Comé-comédie' ('Come-Comedy') was the French entry in the Eurovision Song Contest 1972, performed by Betty Mars. The song was performed second on the night. At the close of voting, it had received 81 points, placing 11th in a field of 18 contestants. The song is a moderately up-tempo number, with Mars singing about the joy which will come when she and her lover say that they love each other. Mars also recorded the song in German, under the title 'Komödiant der Liebe' ('Comedian of love'). 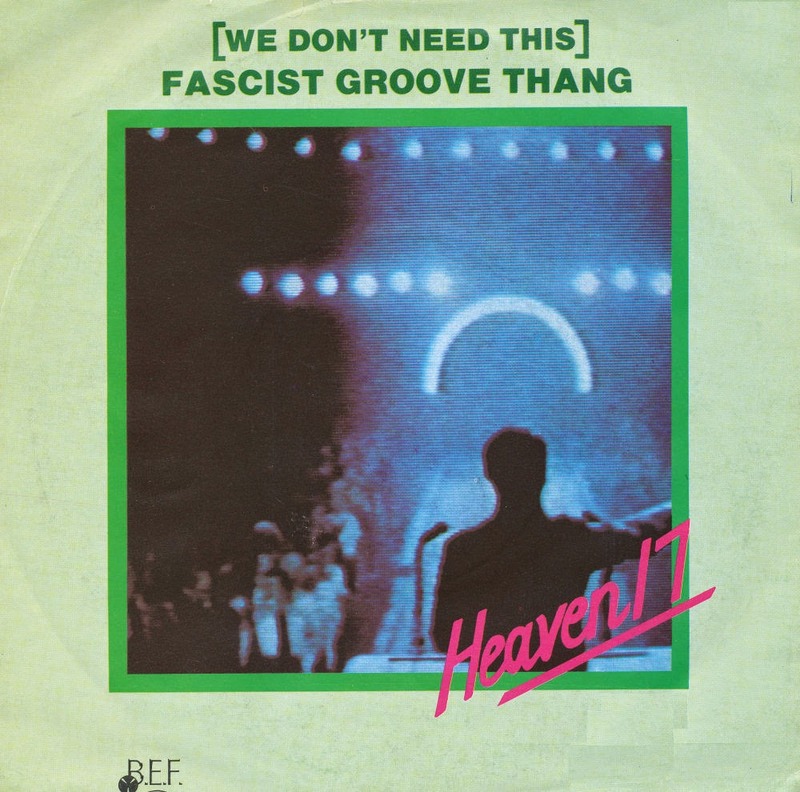 In the lyrics fascism and racism are described in an ironic fashion, using the lexicon of funk music. The lyrics of the song also reference the UK and US political leaders of the time, Prime Minister Margaret Thatcher and President Ronald Reagan, respectively, and include denunciations of both racism and fascism. The song was banned by the BBC due to concerns by Radio 1's legal department that it libeled President Reagan. The Belgian band 'De Strangers' (introduced in an earlier post here) delivered possibly the strangest single of their lengthy career with this 'Al da d'Haar... krijde cadeau'. It rougly translates into 'You get all that hair as a gift' and it is a cover of the 1983 Eurovision Song Contest winner 'Si la vie est cadeau', performed by Corinne Hermes. 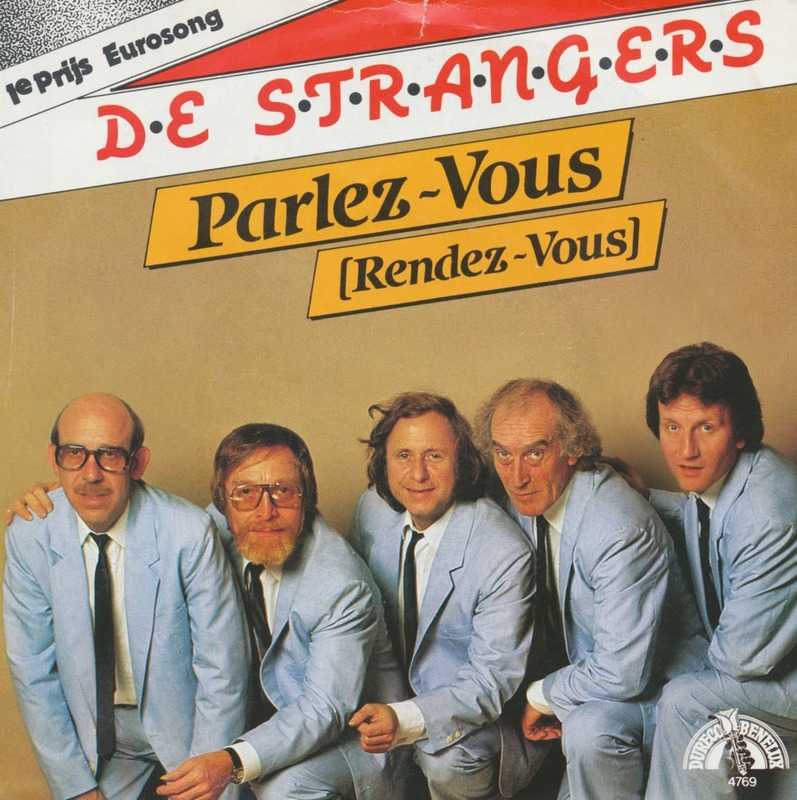 And, as if that year's Belgian entry wasn't already weird enough (the legendary 'Rendez-vous' by Pas de deux), they included a cover entitled 'Parlez-vous' on the B-side. 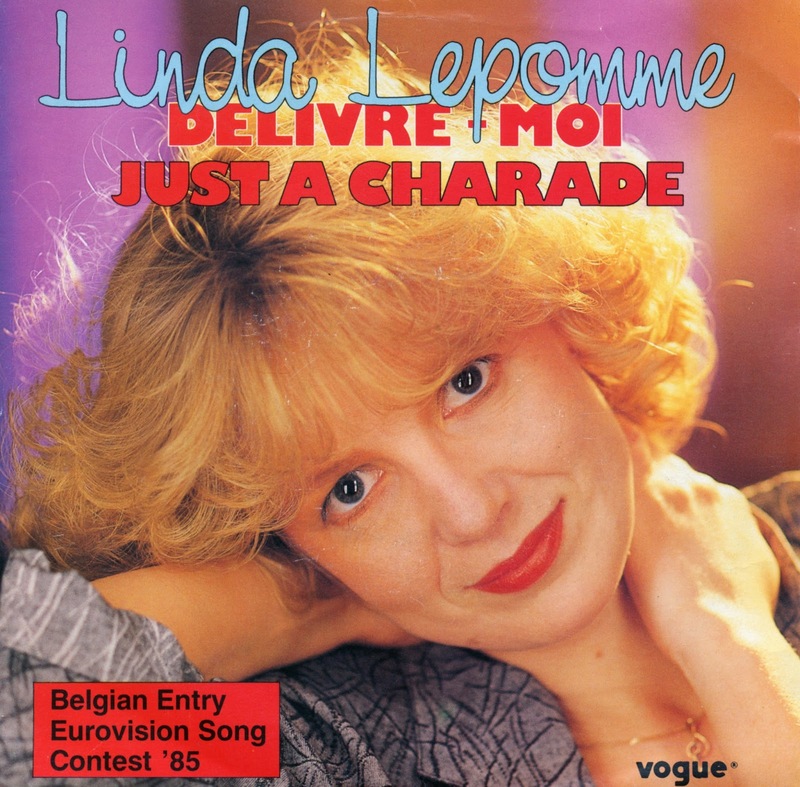 Amazingly, this single did not get into the Belgian chart. 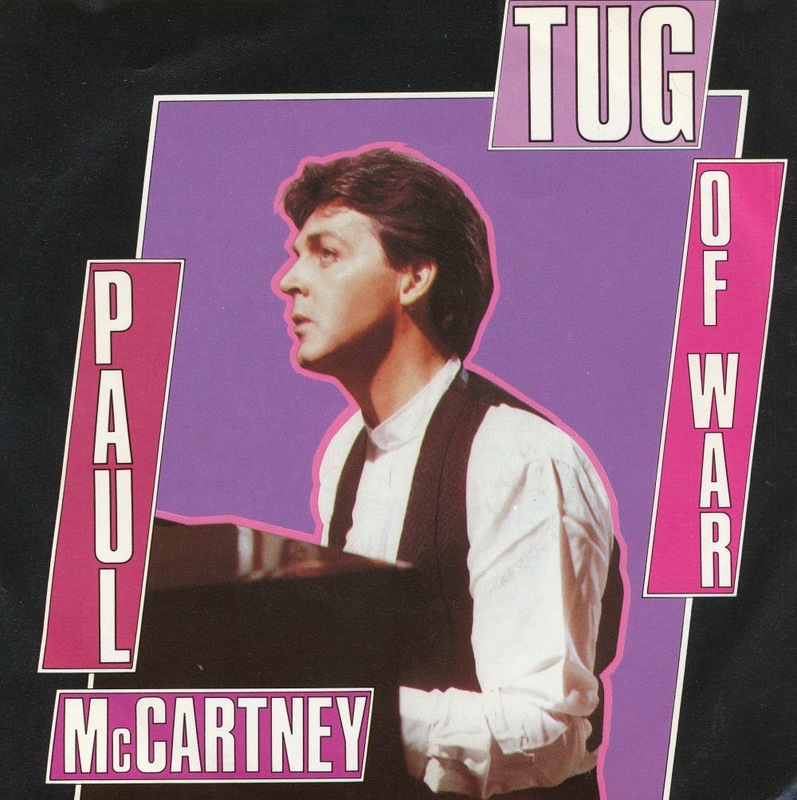 'Tug of war' is the title track from Paul McCartney’s 1982 album. Rolling Stone described the song as McCartney's equivalent to John Lennon's 'Imagine'. The song has a clear division between the verses featuring sad lyrics about the struggle to survive, the necessity of conflict (pushing and pulling) and the hopeful refrain, in which McCartney looks for a future where these struggles are no longer necessary. The lyrics are seen as describing his complex relationship with Lennon, who was killed two years prior. The single reached number 53 in both the UK singles chart and the US Billboard Hot 100 singles chart, It failed to chart everywhere else. Somehow, the music press and media were taking guitar bands from Seattle very seriously at the beginning of the Nineties. The previous obsession with drugs-fuelled dance music was forgotten, everyone suddenly had to listen to screaming bipolar maniacs who'd just come from rehearsal studios without ever seriously studying things like melody or lyrics. 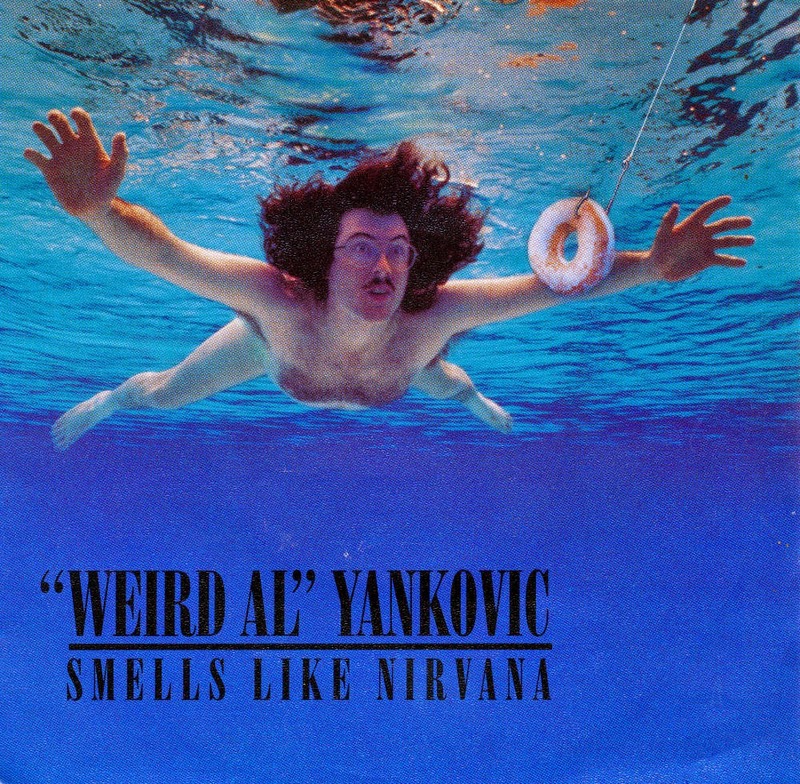 It was refreshing, therefore, that 'Weird Al' Yankovic came with his parody on Nirvana's 'Smells like teen spirit'. Entitled 'Smells like Nirvana', it pokes fun at the socalled 'grunge' band from Seattle and their largely atrocious music. The single reached number 35 in the US Billboard Hot 100 singles chart, number 48 in Canada, number 38 in Sweden, number 24 in Australia and a rather surprising number 4 in New Zealand!